Build a future Mirgorod ceramic technical plan back in 1879. Fans of Nikolai Gogol wanted the upcoming school was named after the famous countryman. But no one expected that construction will be delayed for long 17 years. U1880, the Poltava province and Mirgorodskuyuin county district council began raising funds within the Poltava region to build a new institution. Russian Emperor Alexander II personally approved the idea. The construction had about 80 thousand rubles. Almost half of the funds allocated by local zemstvo. Instead Mirgorodska council gave for the construction of three acres of land for the bridge on the river Khorol. November 1, 1896 opening ceremony of the school, where he taught future teachers and pottery painting. At that time it was the only school in Ukraine, which prepared the masters of specialties. On learning taking children from different social groups who are under 12 years old. Also had the right to learn and adults. Education was free and lasted 5 years. In the first school year there were trained 45 boys and 10 girls. Students also made majolica tiles, which mainly decorated temples. For example, in 1900, pupils Mirgorodskoy Art and Industrial School majolica iconostasis made unique for the Russian Church in Argentina. It was also made for a copy of the iconostasis of the Assumption Church . Unfortunately, the temple in Soviet times was used as commercial space and part of the iconostasis were transferred to ceramic museum at college. During Hetmanat Art and Industrial School was renamed Mirgorodsky Art and Industry Institute. 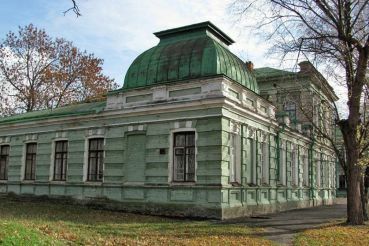 In 1932 the institute was reorganized, so now Mirgorod left college building materials. In 1941-1945 years of the faculty and students were mobilized into the Red Army. 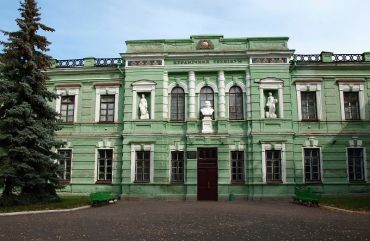 Even in the postwar period Myrhorod Ceramic Technical School was one of the best educational institutions of the region. In 1997 the school was renamed the State Mirgorod ceramic technical school named after Gogol. And in 2011, the college was reorganized again in Mirgorod Industrial Art College named Gogol Poltava National Technical University. At the college is museum , which exhibited the highest may work students. Seven rooms are located various articles of earthenware, porcelain, majolica and more. The museum exposition updated new products every year. 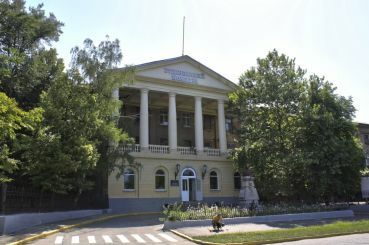 Mirgorod ceramic technical school located on Gogol Street, 146. There is a park "Friendship".